Melbourne central is a railway station in the basement and a shopping complex on the top. 170 years ago, if you were to stand where Melbourne central was, you would be looking at marshlands in all directions. After discovery of gold in the region, Melbourne's fortune began to change and it began to take shape as a large city. The clock is also a major attraction at the Melbourne central. Tender coconut was being sold for 6.5 AUD here in Central. But was just OK- not great. 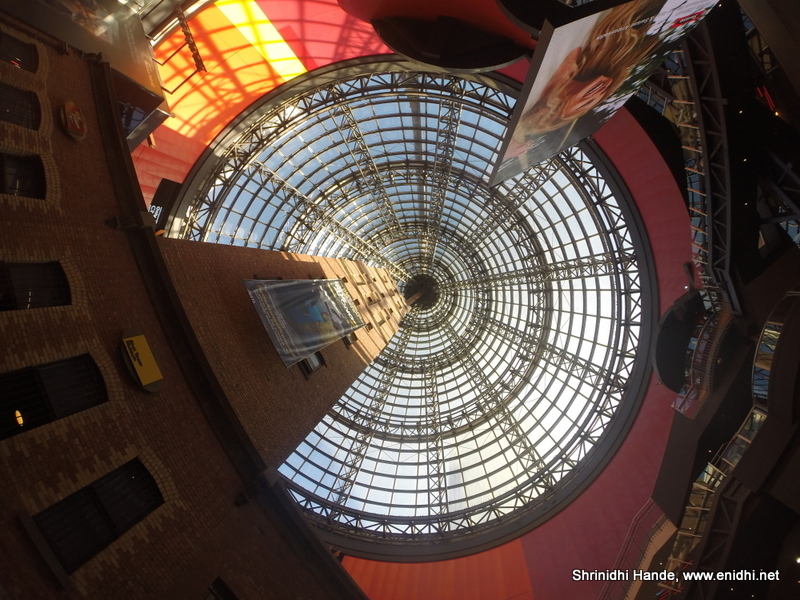 Melbourne central has almost everything a modern mall will have- Hindi movies are played in the theatre inside. Most product launches that happen in Melbourne are often displayed in the central area of the mall. Update: I had once connected to their WiFi and registered using my email. 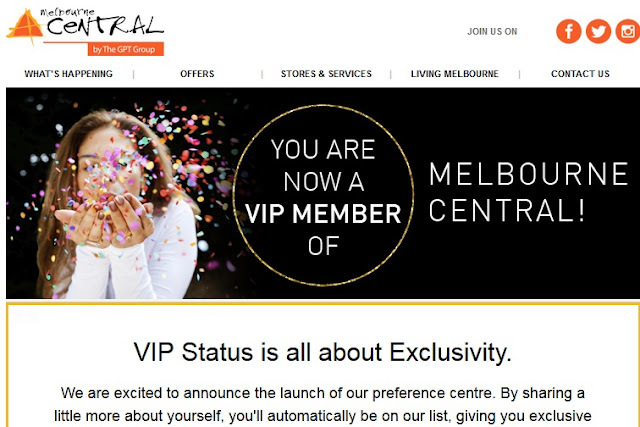 Now it seems I am their VIP member. I am sure they have spammed everyone in their database same way. Be careful when you sign up for free WiFi- your email ID might be abused. I didn't visit this place, but looks cool!